Manufactured by Trovan in Europe, AKC Reunite 134.2 kHz/ISO/International microchips are seamless, 100% bioglass encapsulated transponders with no plastic parts. This seamless design helps ensure the lifetime integrity of the microchip. Our all-in-one syringe delivery device also features medical-grade needles that are arguably the sharpest in the industry. AKC Reunite microchips have a greenish tint because they are manufactured with bioglass. If a microchip is made of clear material or a polymer, it is NOT bioglass! Microchips made from different plastic parts, including sheaths, that are melted together run the risk of leaking. Moisture or any leakage can lead to microchip failure in the future. A microchip with clear glass is not made with bioglass. Instead of laser sealing the capsule, the entire transponder is heated during the sealing process. Overheating the electronic transponder can impact the longevity of the microchip. There's also a likelihood clear glass contains lead. Yes, lead. ISO compliant vs. ISO compatible? There is a difference. Stringent, ISO compliant, quality control manufacturing process that ensures AKC Reunite microchip ID numbers are unique and will not be duplicated. Many manufacturers instead offer ISO compatible microchips. ISO Compatible microchips are not required to follow stringent production standards or uniqueness of ID numbers. Oftentimes these microchips are manufactured in China. The ProScan 700 is an essential tool for shelters and veterinary offices with a large read range to read all brands of microchips. Choose the ProScan 700 for the ultimate in microchip ID detection. The QuickScan 650 is perfect for occasional microchip scanning in the field and reads all pet microchips sold in the US. The scanner’s handy size fits right in your pocket, making it a great tool to spot-check pets. It also comes equipped with a detachable belt clip. Click here to view the QuickScan 650 scanner instructions. BUNDLE AND SAVE! AKC Reunite kits are an easy and economical way to kick-start your microchipping program with minimal investment. Whether your preference is a scanner with microchips or just scanners, choose the “combo kit” that works best for your needs and get real savings for your organization. We are excited to introduce this technology to the companion animal market for specific pet identification applications. To ensure a microchip is readable for the life of the pet, it is critically important to consider the adult characteristics of the pet when choosing a microchip for a puppy or kitten. The indi minichip is ideal for smooth coated, thinner skinned dogs and cats, birds, guinea pigs, ferrets, etc. This product is NOT recommended for horses, pets with dense or long coats, pets with thick folds of skin or in pets with a potential to become obese. which means we can tailor a microchipping program to best meet your budget and needs. 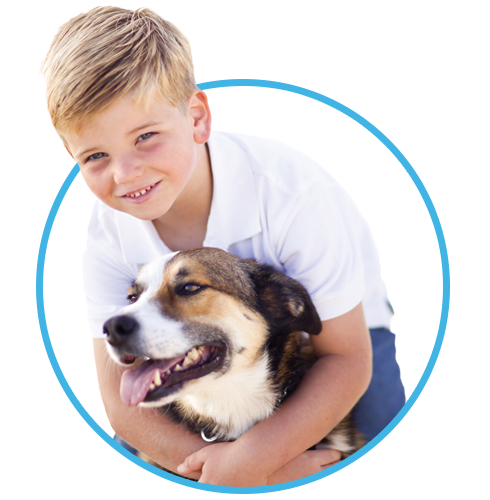 Microchips sold with prepaid enrollments are a no-hassle option that offers you and the pet owner a tremendous value. You do not have to track microchip enrollments and there is no additional charge when enrolling the microchip for as long as you own your pet. Prepaid microchips are the program of choice by many veterinarians, animal shelters and rescue organizations. For every microchip enrolled in the AKC Reunite recovery service and the standard enrollment fee paid, an Enrollment Reward point is earned toward select microchipping products. For example, 25 points can be redeemed for a free 25-count box of microchips or a QuickScan 650! This is the program of choice for TNR and responsible breeders. Points can also be earned with other brands of microchips, like HomeAgain®, when you enroll online with your PIN Code. Contact your Sales Consultant for more information. WE’RE ALWAYS HERE FOR YOU AND YOUR CLIENTS. and even show you how to upload microchip enrollments from most Practice Management Software programs. For 20 years, AKC Reunite protects over 5 million pets and has helped nearly 500,000 pets be reunited with their owners. AKC Reunite charges NO ANNUAL FEES for as long as you own your pet. Our pet recovery service protection is backed 24/7/365 by live phone agents, solely dedicated to helping reunite lost pets.